Traditional wisdom of the day says… keep those picture books short. Hone that story down to 500 words or less. In these days of short texts and shorter attention spans… is there a place for the longer picture book? As an author who tends to be more long-winded, that is a question I have asked myself many times. The wise Anita Silvey has written an insightful piece about this very question. My own personal belief is that yes, there IS a place for the longer picture book . Picture storybooks can hold up to repeated reading. The stories are often more complex, take more delicious time to build and need more time to unravel to a satisfying conclusion. Bedtime reading can be comprised of a single book; one story that a child can ponder with lots of pictures to study. We get four stories for the price of one as we follow our heroine to exotic locales. “Mr. Slinger was sharp as a tack. He wore glasses on a chain around his neck. Told in the style of a folk tale, the underlying message celebrates freedom from bullying and repression. Often longer books are based on true stories, biographies or non-fiction. Here are a few more favorites. Another story within a story. A true story from the underground railroad. This Pack Horse Librarian in the Appalachian mountains makes an impact on even the most reluctant reader. 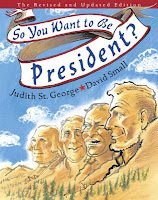 This combination of history sprinkled with oddball facts, hilariously illustrated by Caldecott winner David Small, makes this overview of our presidents, anything but boring. Susan is giving away a signed copy of Poppy’s Best Paper and a clay illustrated book TBD. To be eligible for prizes throughout the challenge, you must comment on each post, be registered by March 4, and consistently read picture books throughout the challenge. 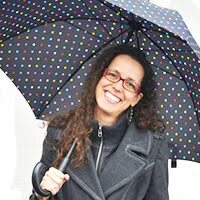 She is the Regional Advisor for the Midsouth (SCBWI) and also serves on the International SCBWI Bologna Team. Susan loves to travel, and has done school visits all over the world, including Taiwan, Brazil, Hong Kong and of course the USA! 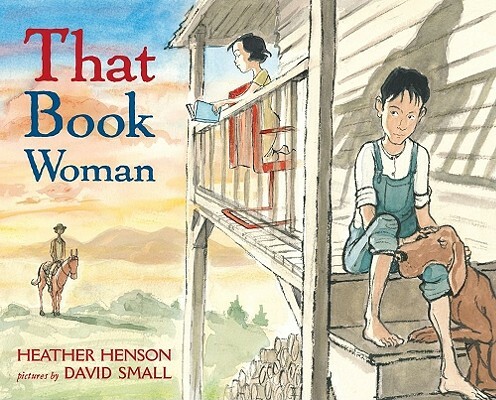 In an era when word count seems to be the first, most vital question when it comes to picture books, it was lovely to have this great list of those books that break the mold. Thanks! I love the rich feel of longer texts! And my son loves them, too. There are some beautiful books in this list, some that I've read, others that are in my TBR pile. Thank you for asserting that longer books deserve a place on the shelf. These were some of my favorite titles. I’m happy to see a case made for longer picture books. Thanks for this beautiful list. There is a place for longer texts. These are great examples. As a writer, I worry about length. But, as a family of readers, we LOVED longer books. I think there will always be room for them. Great examples. The story has to come to life and if that takes 500 words, great. But the same is true for longer manuscripts. The story should decide. Great examples for mentor texts. I am going to post your comment: "The Story Should Decide" on the board over my desk. Loved Finding Winnie and the Rooster who could not be quiet was good too. Looking forward to reading some of the other longer titles. Thanks for the list of mentor texts. Some new fiction titles for me here that I'll need to check out and some nonfiction ones I love already--thanks, Susan, for this interesting post. 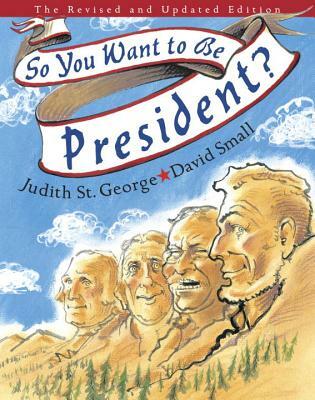 Longer picture books work well to recap historical events and biographers for hungry readers. I love them. I enjoyed these longer books. I believe the word count depends on the age of the reader. these longer picture books tell important stories. longer picture books are important and needed. thank you for these titles and ideas. Thanks for sharing. I believe it's easier to break a trend like low word count with a writer's second book. Many thanks - I love some of these books. Sometimes it takes a few more words to tell the story. Great post! Interesting! Thank you for sharing these book selections and for your thoughts! I agree, Susan! It's nice to have some longer picture books too. I'm eager to read and re-read the books you mentioned. Good morning Susan and THANKS for this post. I write longer picture books -- not because I'm trying to make them longer, but because that's what it takes to tell the story. It's good to know that the longer picture book has a place on the bookshelf, too!! I do hope more of the longer picture books will be published. But, I agree it must have rich language and those words must be there for a reason. Tight but beautiful or fun writing is the key. I enjoyed reading these books. From a fellow long-winded writer, thank you for today's post! Thank you, thank you!I write longer mss and kept hearing that the trend is for shorter stories. Then I met my agent. 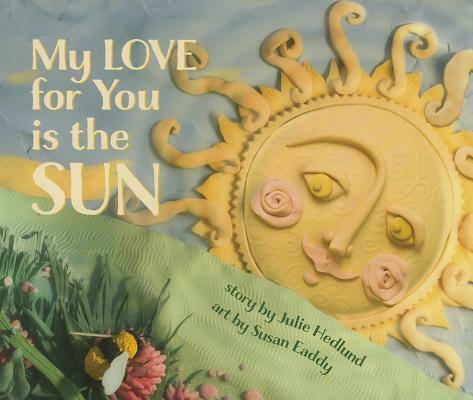 These mentor texts are great examples and wonderfully moving. Thanks for this post. I actually LOVE short picture books, but your post and Anita's essay did give me some food for thought. Long pbs still aren't my choice for either reading or writing, but I can appreciate them a bit more now! Great examples of longer picture books. I agree that sometimes it takes a few more words to tell the story, and when the language is lyrical, it's nice to be able to linger a little longer. As someone who tends to write a longer manuscript (and someone who enjoys reading a well-crafted pb aloud) and a teacher who is concerned by the trend to super short, I appreciated being able to add more books to my list. Thanks! These are excellent examples of longer texts that are so powerful. That Book Woman" is one I absolutely love. Thanks, Susan. Susan, I connected to this post as you brought back the memories of my favorite picture books as a child, though you didn't mention them. Mine were the Little Golden Book stories which my father collected for me whenever it was his weekend with my sister and I. THE POKY LITTLE PUPPY, THE BRAVE TOASTER, and THE GINGERBREAD MAN were a few of my favorites and I read them over and over. I read them to my children, when they were young and they are still as wonderful now as they were then. I'm not a long winded writer, but I can certainly appreciate a longer picture book when it's well written. Thanks for sharing these fantastic mentor text suggestions! Truly scrumptious choices that "take more delicious time to build"! Thank you, Susan. Thank your the longer text recommendations! It's nice to know there still is room in the market for a few of these. Great example of longer texts. Thanks for sharing them with us. I love the idea of these longer books. Thank you for this post. Each Kindness is truly magnificent. I never thought of Lily's Plastic Purse as being longer until I read it again. I also think of Patricia Polacco books as being longer but also ones that captivate an older classroom-especially with some of the topics she tackles. Thank you for highlighting some of the longer gems. Thank you, Susan, for this excellent and diverse list of books. I have some new favorites now, including The Rooster Who Would Not Be Quiet, with its hugely important message. Although these books are lengthy by today's standards, none of them reads long. They are all page turners. More than word count, I try to think about pacing in my own writing, and if it drags, I know I have too many words. Great examples. My students are currently loving a quite long NF bear book right now. It's a typical "all about" style book but they love that we have been reading it for two days now and still aren't finished. Thanks for sharing some great stories with beautiful language. One of these would be a satisfying bedtime read! It is so refreshing to hear a champion of longer picture books. I salute you and I agree, there IS a place for them. 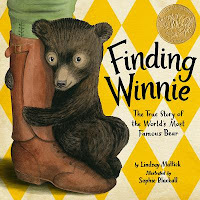 And Finding Winnie is a family favorite now, thank you for introducing us to this beautiful book! Islandborn by Junoz Dias is another longer picture book that I really liked. 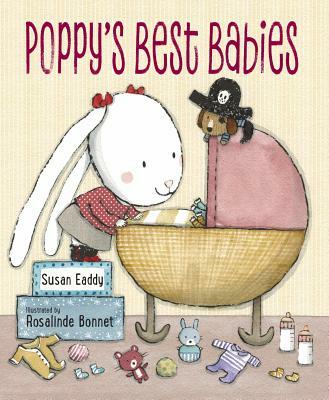 Glad longer picture books are getting some love here, especially fiction titles. Thanks, Susan! It's pleasing to see that longer picture books are valued and that they have a place alongside the current trend of <500 words. These were such wonderful books - and so engaging that I didn't even realize they had lots of words. Thanks for curating such a fine list of longer-than-the-normal PBs. I definitely try to keep things short, and actually enjoy the challenge, but every once in a while the story begs for a little breath and length. Thank you, Susan. I was amazed when I counted the pages of WINNIE a little while ago because I wanted to use it as a mentor text. It does not seem that long when you're reading it! None of these do. I guess that's the goal. Thanks! I have always loved longer picture books. Thank you for this wonderful list! While I too appreciate reading longer picture books and enjoyed the books from today, I was a little disappointed that most of them are not from within the past five years (which gives an idea of what's happening in the current market). Out of the two that were published within the last five years one of them is a biography (which are usually much longer than straight fiction picture books). I do hope that there is still room for longer picture books in today's market, but it seems like they are often for a specific niche. Fantastic list! Thanks for sharing! There is a place for both the long and shorter pb. At first, I was not attracted to the less than 100 word count. As a child, parent and educator, my mainstay was the longer book. . .with no difficulties. I have long advocated for using the pb in intermediate and middle schools to enhance the textbooks. Often the pb had more detail in text and the illustrations added another dimension. One has to take time with a longer pb. That's fine with me. At the same time, a great text can be any length. Let's just have a variety. I agree--a long and wonderful story is perfect for bedtime! These are such great selections. Thank you! What a wonderful post! It's true there's a place for longer picture books, and indeed it's often overlooked with so much demand in the market for shorter pieces. Yet there's an absolute need for longer text when the story calls for it, and I think these mentor text examples illustrate that point perfectly. Many thanks for sharing! Thanks you, Susan!! Great book choices. I'm a fan of long PBs (as well as short). Glad to see this type of PB still thrives. It is interesting to go from contemplating board books yesterday to longer picture books today. ReFoReMo is definitely stretching my brain in many directions, hopefully making it more elastic and open to new possibilities. I enjoyed the texts suggested in today's post. Several of them were used in my middle grade classroom while I taught. Longer picture books often deal with subject matter these students need to hear, and the books present the information in meaningful ways that hold the students' interest. The message in Each Kindness is ageless and told so beautifully. Henry's Fredom Box certainly brings the horrors of slavery home in a way students can understand. Both short and long picture books have a place in kids' lives, depending on the purpose. Thank you for this list of longer books. I believe that we can increase the length of the book as children are ready. If the story/material is good the reader will stay with you. Thank you for this list of longer books. I agree, Susan! It's nice to have some longer picture books too. Thank you for this list of longer books. I think it is good for readers to have both long and short picture books. I always love the longer picture books. "Henry's Freedom Box " was amazing and "Finding Winnie" was fun to read. Such wonderful choices. Personally miss the longer, meatier pix books. Thanks for a lovely post. Thank you for your insight! This is a topic that I am particularly interested in because I am currently focused on NF. I appreciate the discussion and the examples selected. In schools, there is definitely still a use for longer books, especially for the upper grades. They can make difficult topics more accessible in PB format. Love your list! Thanks for the post. Thank you for this post, Susan :) I enjoy longer picture books and some of these examples are on my book shelf. I like some longer stories too. Sometimes I think we underestimate a child's ability to handle longer picture books. If the story is engaging, I believe most kids are happy to have the extra "snuggle and read" time of a longer picture book. Maybe it's the parents who want to zip through a book at night, especially if they've had to read it about 163 times! It's sad to think that some of our favorite picture book classics would not be published today because of their word count. In some ways I find this hard to understand. I too think there is a place for longer PB's. i look forward to reading those I haven't yet and recommend, the rooster who wouldn't Keep Quiet, each Kindness and Finding Winnie.thanks for this post. That’s good to know. I have written stories that are longer than recommended. 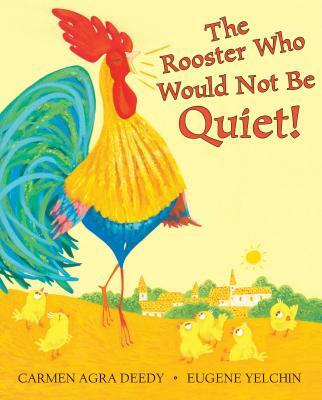 As a parent I tend to leave non fiction and longer picture books for day time reading, but we read Finding Winnie and the Rooster Who Wouldn't be quiet for bedtime and didn't mind the length one bit. Thank you for listing more of these wonderful books! Susan, great choice of texts! I love all of them! These were amazing suggestions Susan! I love it when a longer book can keep the child engaged. Each text did this beautifully, showing its not always the word count but the content that matters. Susan, I've wondered the same thing. Thanks for these great examples! As a fourth grade teacher I used longer picture books frequently. Thanks for this great post! Susan, couldn't agree more. I find it sad the focus is on low word count. Our inability to sit still or focus or whatever means the loss of many wonderful "wordier" stories. 3 cheers for the ones you've mentioned! One of the things that I love about longer picture books is that it keeps my older (8yo) engaged a bit more. I am mourning our reading time a bit as she moves into chapter books and beyond, so I am grateful for the longer PBs out there. Thank you for sharing this group of longer picture books. There is a definite need for these longer books before children transition to chapter books or novels. I love this selection of picture books, Susan. These are truly some of my very favorites. Thank you. Thank you Susan for today's book list. It helps reading examples of books with longer text. There is a freedom knowing not to shy away from longer text if the story calls for it. I too tend to write longer picture book manuscripts to this post is very helpful. I am also starting to branch out into nonfiction picture book. Thank you for the wonderful resources! Thank you for this list. You introduced me to titles I haven’t seen before and fell in love with! Thank you for introducing me to longer picture books. Some were older copyrights. 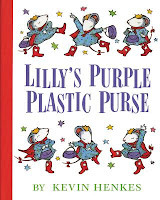 I like that in Lily's Purple purse you can tell the illustrator what the teacher wore each day, and that he was sharp as a tack which I read to kids with lots of hands and questions coming up. Susan. Thanks for championing the longer picture book--our library calls them "older reader" picture books. What a fine line must be walked between words for content sake and words just for words' sake! Always a consideration in writing picture books: is that word necessary? I really hope that longer picture books become appreciated again. What a great list of books. So many longer books I feel are unnecessarily so, but the good ones - the great ones - are incredible. Many of these were new to me so thank you for sharing! That 500 maximum word count is quite daunting to this aspiring writer. It's good to hear that some think there is still a place for longer picture books. Thank you, Susan, for sharing your thoughts. There is a place for both a 500 word count PB and there's always room for picture book with a higher word count. The recommended titles are excellent. These longer texts are some of my favorites. And my children never once complained about Lily's Purple Plastic Purse being too long! It's a family favorite! Thanks for sharing these titles of longer PB texts with us! Nothing better than curling up with a longer wonderful picture book. Thank you Susan! Hooray for longer picture books and longer attention spans. Hooray for parents spending a bit longer reading with their children. And thank you for the link to Jacqueline Woodson reading EACH KINDNESS. Lovely! Thanks for the examples of longer picture books. Some subjects won't fit in that 500 word limit. SUSAN: THANK YOU SO MUCH for the reminder that longer pic books are INDEED IMPORTANT! I, too, am long-winded (which is why I know God has a sense of humor, since my passion is writing children's lit! ), and I ABSOLUTELY ADORE the longer pic book form. Sometimes you just need a story you can sink your teeth into--you know?!!! Thank you! I love hearing that there is room for longer picture books. And how generous--a signed copy of your book AND and illustrated clay copy?!!! Wow! What a refreshing post and terrific examples of longer texts. I particularly loved Each Kindness and The Rooster Who Would Not Be Quiet. Thank you for the suggestions. Nice post. 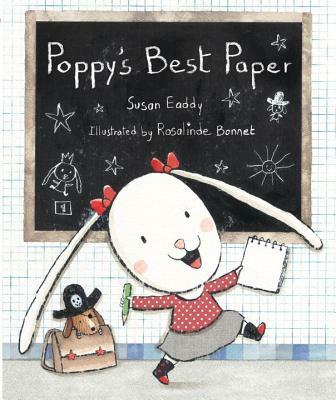 And, may I add anything written by Patricia Polacco to that list! Susan, you've given us good thoughts to ponder. The gift of the longer picture book is the unraveling of the story and the opportunity to linger on the ideas and the language. They never feel hurried. So many great mentor texts to study! Thanks, Susan. This post on longer picture books is wonderful.It is indeed nice to have a list of longer picture books. Thank you! Thanks for your book selections. I especially enjoyed THAT BOOK WOMAN and FINDING WINNIE. EACH KINDNESS is so touching. I shared it with my first grader. Longer PBs often have beautiful, storytelling language. There is definitely still a place for them, especially for upper elementary children. Thank you for pointing out the poetic, rich descriptions in Lily's Plastic Purse. Often I get so caught up in the storyline and illustrations that I forget to study the language that makes it so colorful in the first place. I love the lines in Henry's Freedom Box: "Henry twisted tobacco leaves. His heart twisted in his chest." I could feel the tension twisting in my own heart as he found out the news his family would be torn apart. From this selection, I also really loved Each Kindness. It was different from all the books I've read this month for several reasons. It didn't end on a happy note; it ended on a regretful note. I feel like this made the story so much more real and impactful. Not every story ends happily. Sometimes when you miss an opportunity, it's lost, and this story showed that. I also really appreciated that the illustrations were of kids the age the book is aimed at. It makes children visualize themselves in the story and think about how they would act in the same situation. The lesson in this story really sticks with you after you've finished it because of the guilt of the main character. Thank you for standing up for the beautifully-crafted longer picture book! Thank you for these suggestions. 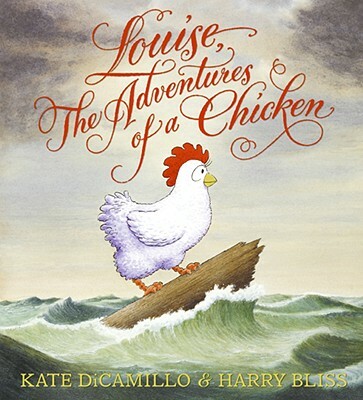 I especially enjoyed The Rooster Who Would Not Be Quiet, Finding Winnie, and Henry’s Freedom Box. This comment was already posted and I second it...I would also include anything Patricia Polacco! I generally prefer longer picture books but it seems as though they are not the preferred format these days. I would love to see some longer picture books make a comeback. Thank you for this great list. One of them works as a comp. title for me. Some of these titles were new to me, and some really stood out as a surprise, in a way, that they are identified as long, by today's standards...perhaps because when I read them, they were so well done and grabbed my attention in such a way, that I completely forgot about the factor of their length. In particular, ROOSTER did this; now, looking back, I think "well of course they're longer than average." But I certainly didn't interpret that as a major factor, because they were exactly the length that they needed to be to be the lovely pieces that they are. Thanks for the reading suggestions! What lovely choices. My son was in tears for quite a while after reading Lily's purse ... her low moment really touched him. Each Kindness is just heart-breaking. And The Rooster is so charming and also wise. None of these felt remotely long to me - I hope there's still room for these kinds of books! Finding Winnie is on my list of all-time favorites. It is much longer, but that's what makes it so fulfilling. I'm not left wishing for more as I am with some picture books. Great suggestions...thanks! I really really liked this post, and I really really enjoyed these books, particularity because I am such a short, low-word count writer myself. I've adapted very much to the shorter word count trend these days, and have accustomed myself to writing like this. However, a recent projected challenged me to write more-a longer word count PB based on a true story, so I was a pretty intimated when I sent out to do that. So I was recommended a few longer PB's to see how well they still kept it short and sweet, but used more words to tell a more compelling and factual story. This really helped me fulfill my own project. Great stories here. Really really felt the emotion and devastation of the true events of Henry, and I've always big a big fan of EACH KINDNESS and of course FINDING WINNIE is one of my all time favs! I tend to think that I don't like longer picture books, but then I realized I've read and liked almost all of the ones you listed. It'll be worth studying them to figure out when longer is needed for the story. Thanks! Thank you for your longer picture book suggestions. Some of these are already classics. Nice to see the upside of using more words. Every word though, should still be weighed even with longer text. Love these books. Definitely a place for the longer ones. I particularly liked That Book Woman. I had not heard of that one. Thanks for the great list you provided for us. I love your book choices! There are two I haven't read and am excited to dive in to them this morning. I hope store shelves always continue to offer the best of both worlds. Thank you for your ReFoReMo contribution! I like longer texts and I especially enjoyed reading, "Henry's Freedom Box" and "Finding Winnie". Thank you for the wide variety of mentor texts! Some fiction, some nonfiction, nearly all different publishers, from 1996 to 2017, from 813 words up to 2,226 words, and all different authors! My take-away is that any kind of book can be longer (except maybe board books! ), but it has to be because the story calls for it. Thank you for the great mentor texts! Thanks so much for sharing your favorite longer picture/story books. I find myself in this category often, maybe because I'm long winded. Its nice to see diversity in length. Thanks for the suggestions! Thank you for the post and great mentor texts! So glad you included "Lilly's Purple.." on this list. One of my all time favorites! Thank you so much for this list! Reading these books gave me hope that maybe one day I can write a longer picture book story and it just might get published. Each Kindness had me in tears and So You Want To Be President was a fascinating approach to nonfiction storytelling. Reading these longer picture books was so deeply satisfying! Thanks for the great list! I love longer texts! They can be completed in more than one sitting if you don't have time or attention span to read book in one sitting. Thank you for the great post and recommendations! I love longer picture books and especially find nonfiction ones useful to introduce my students and tutoring clients to new topics. 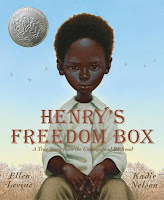 I was familiar with most of the ones you recommended but enjoyed reading Henry's Freedom Box for the first time and will be recommending it to my students tomorrow. I absolutely think there is still a place for longer picture books. My kids ADORE them. I grew up with my grandmother, a librarian, constantly surrounded by books. My mother and aunt are now also librarians. My kids eyes light up when I say "storytime". I luckily was able to source all these titles and enjoyed them all immensely. I also thoroughly enjoyed Anita Silvey's article. Thanks so much for the link! Susan, I was excited to read your post knowing how helpful your comments have been to me at our SCBWI fall conferences and at our Nashville meet ups at Parnassus Bookstore. I agree that there is definitely a place for longer books when they are as well written and illustrated as the mentor texts you have highlighted. The Velveteen Rabbit is one that comes to mind as a classic longer picture book that touches hearts of all ages. Great list of mentor texts--Finding Winnie is a favorite and I loved reading the others. Thank you for a thought provoking post! Thank you for writing on this topic and for the great selection of mentor texts. Thought provoking! Sometimes my manuscripts are "longer" and I just dont see where I can cut them. Some manuscripts just cant say what needs to be said (by any one of us!) in under 500. But there are just as many beautiful books created under 500. Nice to know there may be options! This might be my favorite collection of mentor texts. I'm a firm believer that there absolutely is a place - dare I say a NEED - for longer picture books! Finding a publishing home for them can be challenging though, especially for new authors. Thanks so much, Susan! Thank you for this post, Susan. And I love your work! As you might recall, I reviewed My Love For You Is The Sun (by Julie Hedlund) and I'm so impressed by your clay work. Thanks so much for this post. I prefer longer picture books. So great to have this list of mentor texts. I love The Rooster Who Would Not Be Quiet, and would never have guessed that it "ran long". A great reminder to tell the story with the words that need to tell it. This is exactly the kind of post that gives me hope. (Even though I'm careful to craft PBs that count 500 words or less, I DO enjoy longer, meatier PBs. I NEED MY MONSTER comes to mind.) So thank you for speaking to that, Susan. What a treat to have met you at the SCBWI booth in Bologna this past week! Hope to cross paths with you again. A great reminder of a "rule" to break when the story calls for it. The Book Woman was one of my favorites! Thank you for your post. I love the rich text found in longer form picture books. Thanks for sharing these impressive examples. Thanks for making the case for longer picture books. This is a great list - one I'll be coming back too! I see many books my older child will enjoy. Thanks for sharing your list! 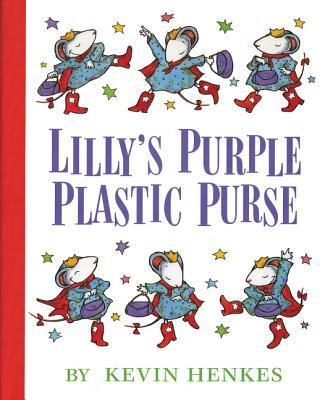 Lily's Purple Plastic Purse is one of my all time favorites! 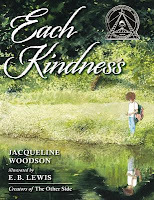 We used Each Kindness for a writing assignment when I taught 5th grade. Thank you! 2 of your books were in my collection, and I'd never read them...Thank you for showing me see what I was missing! And THAT BOOK WOMAN, I may have been reading something from my family's past (Bell County, Kentucky). Thanks again! I love folk tales for that reason - longer and satisfying - a real looking and listening activity. Wonderful choices for longer PBs! It's hard to always fit in that sweet-spot of 500 or less! Great post and excellent mentor texts. I agree there is still room for beautiful longer picture books. Thanks Susan! 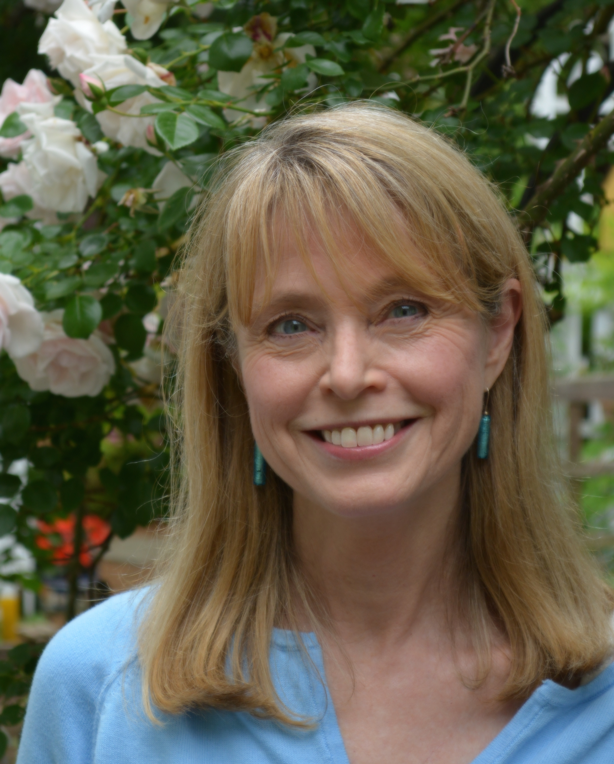 Some of my kids' favorite books were long ones -- thinking especially of Virginia Lee Burton's "Mulligan Mike and his Steam Shovel," "The Little House," and "Katy and the Big Snow." We loved savoring these books, rather than rushing through them like we so often do with the shorter ones. Thank you for your post! Thank-you for permission to get wordy - as long as all those words count. Thank you for your list. Lilly’s Purple Plastic Purse is my favorite. Good to know there are longer picture books! I am looking forward to the day my girls can sit for the longer books. I really enjoyed Finding Winnie! It was good to see longer picture books. That Book Lady is beautiful. Thanks for sharing it. I might not had found it, otherwise. My kids are a bit older now and so they love the longer books. Thanks for the great list! It's good to know there's still a place in the market for these. Great mentor texts. Thank you. Henry's Freedom Box, Each Kindness, and The Rooster Who Would Not Be Quiet! are near and dear to my heart. These books are unbelievably powerful. Thank you for this helpful post. I enjoyed reading through your great list of books. I think there is a place for longer books, too!